you were not made for the Shabbat." 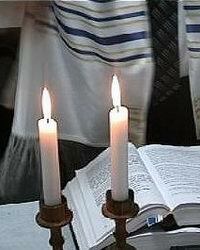 Shabbat (Sabbath) is mentioned over 170 times in the Bible, one-third of those in the Brit Chadashah or New Testament. Genesis 2:3 tells us "God blessed the seventh day and separated it as holy" as the final act of Creation. The Sabbath has been the Sabbath for thousands of years since creation, and the holiness of the Sabbath day remains, whether we acknowledge it or not. The seventh day is the only day with a name and is referred to as Shabbat (Sabbath) in the Bible. Sunday is always referred to as the first day of the week and Friday the sixth day of the week. None of the other days of the week are called Shabbat in Hebrew. Our calendars tell us that Saturday is the seventh day of the week and Sunday the first day. Observant Jews still celebrate the Sabbath on the seventh day. Why? Because God blessed and sanctified it. Before God gave the Torah at Mount Sinai, he re-emphasized the weekly cycle by giving manna to the Israelites six days of the week, but not on the Sabbath day (Exodus 16:14-26). The weekly Sabbath is also mentioned in the Ten Commandments, "Remember the day, Shabbat, to set it apart for God." Yeshua (Jesus) taught his followers, "Shabbat was made for mankind, not mankind for Shabbat" (Mark 2:27). It is a day created, blessed and given by God, not just to Adam and Eve or the Jews, but to all mankind. It was intended as a blessing for all. The Sabbath is the catalyst that keeps mankinds relationship with the Creator a priority. All the frustrations of this present world would be dispelled if man would find fellowship with the God of the Sabbath, who made the Sabbath for mans spiritual renewal.3 It is a time for communion between the Creator and his creation. or pursuing your interests or speaking about them. If you do, you will find delight in Adonai. for the mouth of Adonai has spoken." The Bible teaches that Messiah created Shabbat. "In connection with him were created all things - in heaven and on earth... Also he is head of the Body, the Messianic Community" (Colossians 1:16-18). "He was with God in the beginning. All things came to be through him, and without him nothing made had being" (John 1:2-3). Yeshua said he was "Lord even of Shabbat" (Mark 2:28). The first followers of Yeshua were Jewish, and known within Judaism as the Nazarene sect. They also observed the Sabbath. Matthew, Mark, Luke, and John wrote their biblical accounts approximately 60 C.E., almost 30 years after Yeshuas resurrection and ascension. The Book of Acts was written 30-40 years after Yeshua. All these writers speak familiarly of Shabbat as an existing institution. In fact the Sabbath is mentioned throughout the New Testament. Not one verse states that Yeshua or his apostles abolished or changed the Sabbath. 1. Yeshua, per his custom, went to the synagogue on Shabbat and taught and the listeners were amazed at his teaching. (Mark 1:21, 6:2; Luke 4:16). 2. Yeshua healed on Shabbat to demonstrate the day was to be a blessing for mankind, not a burden (Matthew 12:11-12; Mark 3:2; Luke 13:14-16; John 5:16, 9:16). 3. Yeshua warned "pray that you will not have to escape in winter or on Sabbath" referring to a future prophetic event (Matthew 24:20). 4. The disciples rested during Shabbat while Yeshua was in the grave, and they went to the tomb on the first day of the week (Luke 23:56). 5. It was Pauls custom to preach on Shabbat to both Jews and Gentiles, most often in the synagogues (Acts 13:14, 13:42, 16:13, 17:2, 18:4, 18:11). These persecutions resulted in a dispersion (Diaspora) of the Judean Jewish population throughout the known world. 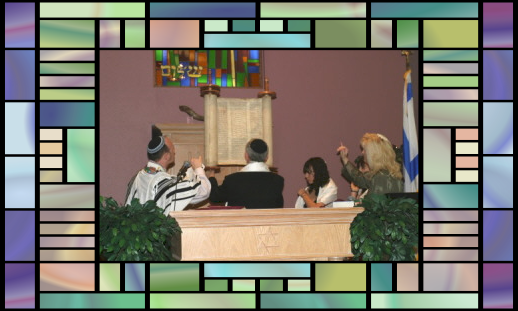 There were persecutions of Messianic Jews by the Romans, and many of the non-Jewish believers began to drop or change religious practices that would identify them with Judaism. Eusebius includes a statement in his Life of Constantine from the Church Council of Nicaea in 325 C.E., "Let us then have nothing in common with the Jews, who are our adversaries... avoiding all participation in the false conduct of the Jews." Later the Church Council of Laodicea in 364 C.E. proclaimed, "Christians shall not Judaize and be idle on Saturday, the Sabbath, but shall work on that day; but the Lords day they shall especially honor, and, as being Christians, shall, if possible, do no work on that day. If, however, they are found Judaizing, they shall be shut out from Christ." The councils of the Church were anti-Judaic, and they made it heresy for Christians to observe the seventh day Sabbath. The second reason, mixing Christianity with pagan religions. In 313 C.E., the Roman Emperor Constantine I issued the Edict of Milan, making Christianity the official state religion of Rome. Unfortunately the Romans, along with the Egyptians and Greeks, already had pagan religions that included sun deities. In ancient Egypt there was the cult worship of the sun-god Ra. The Greeks worshiped a sun-god, Phoebus Apollo.8 And the Roman Emperor Aurelian (270-275 C.E.) sought to unite old and new religions through the worship of a sun-god. He even proclaimed himself the vicar of that deity on earth.9 Remnants of pagan sun worship are seen today in various rites and celebrations of summer and winter solstices. The Emperor Constantine I, a convert to Christianity, was no exception to sun worship. In 321 C.E. he ordered all work to cease throughout the Roman empire, in proper observance and celebration of the venerable day of the sun.10 By replacing the biblical Sabbath with "sun" day observance, Constantine made Christianity more acceptable to the pagan religions within his realm. "Protestants, who accept the Bible as the only rule of faith and religion, should by all means go back to the observance of the Sabbath. The fact that they do not, but on the contrary observe Sunday, stultifies them in the eyes of every thinking man. We Catholics do not accept the Bible as the only rule of faith. Besides the Bible we have the authority of the Church, as a rule to guide us... We accept her change of the Sabbath to Sunday... It is always somewhat laughable, to see Protestant churches, in pulpit and legislation, demand the observance of Sunday, for which there is nothing in their Bible." "You may read the Bible from Genesis to Revelation, and you will not find a single line authorizing the sanctification of Sunday. The Scriptures enforce the religious observance of Saturday, a day which we never sanctify." "Answer: Had she not such power, she could not have substituted the observance of Sunday, the first day of the week, for the observance of Saturday, the seventh day, a change for which there is no Scriptural authority." "Nowhere in the Bible is it stated that worship should be changed from Saturday to Sunday... Now the Church... instituted, by Gods authority, Sunday as the day of worship. This same Church, by the same divine authority, taught the doctrine of Purgatory long before the Bible (New Testament) was made. We have, therefore, the same authority for Purgatory as we have for Sunday." God established two blessings at Creation, marriage and the Sabbath. The Sabbath is not a shadow of Messiahs death. It was not abolished at his death any more than marriage. In fact, Isaiah the prophet, in chapter 66, states the Sabbath will continue forever. Does non-observance of the biblical Sabbath make a person free in the Messiah? In most of Christianity, disregard of the fourth commandment has become a symbol of liberty, while any disregard of the other nine commandments (i.e. idolatry, adultery or murder) are labeled sin. In fact there is a tendency among Christians to label seventh day Sabbath observance as legalism. This is ironic, because it is on the Sabbath, that we learn to cease from our work and rest in Yeshuas work for us (Hebrews 4:9). The first day of the week is mentioned only eight times in the New Testament and five of those times are speaking about the resurrection day of Yeshua. No where does the Bible state that the first day of the week is the Sabbath or that the Sabbath is changed from Saturday to Sunday. The other three texts are below. Acts 20:7 says, “on the first day of the week we came together to break bread, and Saul stayed to midnight.” Breaking bread is exactly that – eating a meal. It does not mean its the Lord’s Supper (or a Passover meal). The first day begins at sundown at the close of the Sabbath following the havdalah prayers for the separation of Shabbat. Today, we would say they had a Saturday night meal at the close of the Sabbath. 1 Corinthians 16:2 states, "on the first day set aside a sum of money and save it up so that when I come, no collections will have to be made.” This says nothing about a public worship meeting or congregational service in which offerings are to be brought. Saul (Paul) is asking the believers to collect a special relief offering for the needy believers living in Jerusalem. So he, himself a Pharisee (Acts 23:6), asks the believers to bring their offerings after the Sabbath. Why? Because Jeremiah 17:21-22 states this, "Here is what Adonai says: 'If you value your lives, do not carry anything on Shabbat or bring it in through the gates of Jerusalem. Do not carry anything out of your houses on Shabbat, and do not do any work. Instead, make Shabbat a holy day." Revelation 1:10 records, “I was in the Spirit on the Lord’s Day.” This is the only reference in the New Testament to the "Lord's Day." Isaiah 58:13 calls Shabbat the "Lord’s Holy Day.” Many assume that the "Lord's Day" mentioned in the New Testament is Sunday because Christians call the first day of the week the "Lord's Day." Nowhere in the New Testament is the "Lord’s Day" ever referred to as being Sunday or the first day of the week. There are no statements in the entire Bible (Genesis to Revelation) transferring Sabbath observance to the first day of the week. God has not given us the option of choosing which Sabbath day pleases us. Rather, he gave mankind a specific day. Many Christians believe and teach that Saturday is the "Jewish Sabbath" and Sunday is the "Christian Sabbath." However, the Bible only designates one day of the week as the Sabbath. The Bible does not teach there are two weekly Sabbaths. The Scriptures clearly indicate that the weekly Sabbath is the seventh day. Yeshua attempted to turn people away from rabbinical legalism of Sabbath observance, not from the Sabbath itself. Paul wrote, "Being circumcised means nothing, and being uncircumcised means nothing; what does mean something is keeping God's commandments" (1 Corinthians 7:19). The Sabbath no more belongs exclusively to Jews than Yeshua does to Gentiles. The Catholic Churchs admitted transfer of Sabbath observance to Sunday is unquestioned and accepted by most Christians today. In view of this, is it biblically correct to observe Sunday in lieu of the seventh day Sabbath? Do you worship and honor God as your Creator, the giver of the Sabbath? he stopped working and rested." a house of prayer for all nations." in my presence,' says Adonai." Dr. Michael Brown's video discussion - "A Rest Beyond Sabbath"
6. "Jewish Encyclopedia," "Hadrian," S. Krauss, 1907, s.v.